This week's episode of Former EGM Editors: The Podcast... er, I mean, Radd's Basement: Nerd Culture Podcast, features one of the greats of the gaming genre. He's a former EGM editor whose specific focus was video game tricks, codes and strategies. He's also the current co-owner of Pixel Blast Arcade in Lisle, IL, pfft, whatever, no big deal. 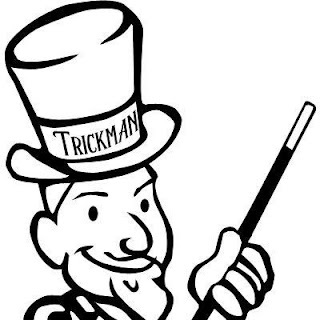 He's Trickman Terry, A.K.A. Terry Minnich! An expert in all things gaming, (both console and arcade) as well as nerd extraordinaire, we had a "Blast" (get it? see what I did there?) discussing Terry's origins in nerdery, our time at EGM, (we were hired the same day) as well as what it takes to run an arcade. We laughed, we ate way too much pizza and we hope you enjoy what we had to say as much as we enjoyed saying it! Here's Episode 5 of Radd's Basement (which took place in Terry's basement)!